Camp Invention for the Summer 2018! Visit www.campinvention.org for even more information. Check Out Our Camp Invention for 2018! 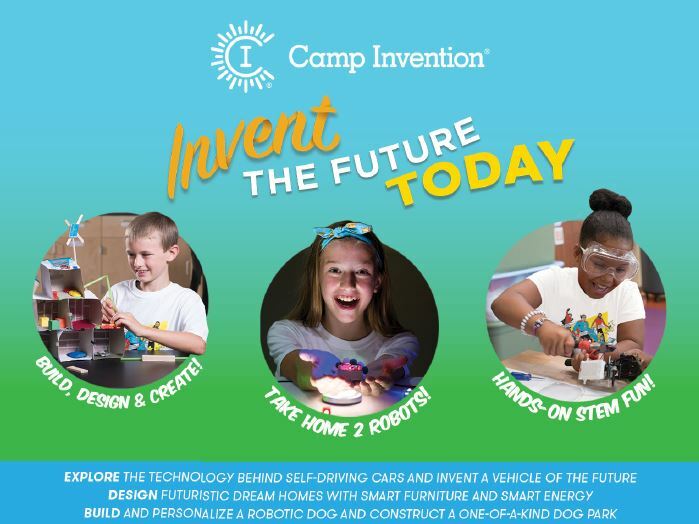 Camp Invention inspires creativity and inventive thinking during its four day summer program! Led by local educators, elementary school children are immersed into fun-filled, exciting, activities that reinvent summer fun. Throughout the week, children work together to solve real- world challenges that prepare them for the 21st century. Whether they are dreaming up a futuristic smart home, using tools to take apart robotic dogs, designing a track for Optibots, or exploring chemistry concepts kids will be actively engaged in discovery! Register using promo code Ideas25 to save $25 (expires 3/23) and Ideas15 to save $15 (expires 5/4) OFF $225. Every registration includes a complimentary Camp Invention t-shirt. 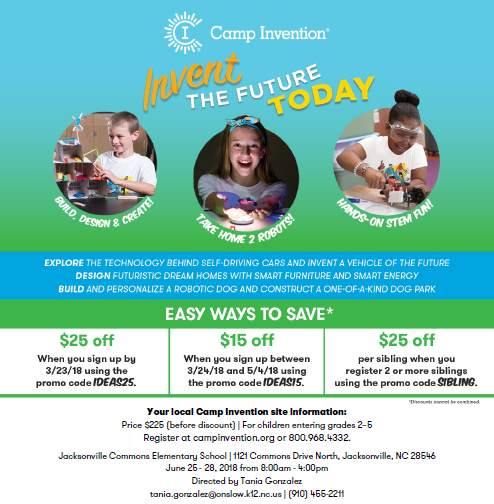 Availability is limited, so visit www.campinvention.org or call 800.968.4332 to secure your child’s spot today! ​ Visit www.campinvention.org.